Some people picked up for a DUI in Los Angeles or some other city may try to bluster their way out of a charge by claiming to have friends in high places who will get them off and make trouble for the arresting police officers. In almost all cases, of course, it’s a bluff that doesn’t do the alleged DUI drivers much good. But one man in Chelsea, Oklahoma, did get a little help from some high-up friends—and the furor over his arrest has caused a big outcry in this small town of less than 2,000 residents. The controversy came to the attention of the Chelsea city council, which voted 4-1 to let Weast keep his job, despite his interference with an arrest. Pappe, meanwhile, could lose his position if the city council votes to dismiss him. 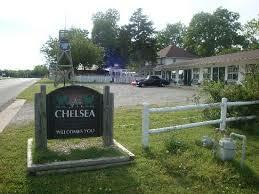 Chelsea’s assistant police chief said that the action has been disheartening for his officers, who have also received death threats. Haggard, meanwhile, said it is the police who are ruining the reputation of the town.